Five Brothers Insurance is an independent agency. How does that benefit you? Since we haven’t partnered up with specific carriers, we are free to shop around for the very best homeowners insurance rates available on the market today. And, better still, we can provide home insurance quotes from a wide range of the most reputable carriers. Five Brothers Insurance is a family-owned and operated insurance agency based in Tampa, FL, and we have been serving the insurance needs of Florida residents and business owners for generations. We have the skill, knowledge and experience to find you the most affordable homeowners insurance rates, while still offering you policy options from some of the world’s most reputable carriers. Our insurance agents are 100% committed to providing superior policyholder service and support, and our team will be your insurance partner whenever you have policy questions, need claims assistance or have any other insurance need arise. Unlike other insurance agencies who let you fend for yourselves once you sign the dotted line, Five Brothers Insurance treats policyholders like family. We take the time to listen to your needs and concerns, and our agents are always readily available to answer any questions you might have along the way. 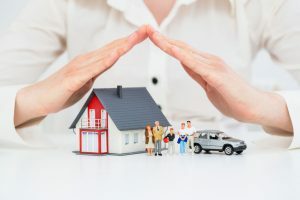 If you live in Tampa, St. Petersburg, Clearwater, Dunedin, Tarpon Springs or the surrounding cities and would like more information on current homeowners insurance rates or want to receive home insurance quotes, contact Five Brothers Insurance today. We will collect the appropriate information to recommend the policy options that best meet your unique needs and budget.